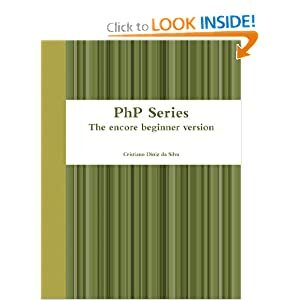 All about PHP's Resources, Libraries, API's and Frameworks. There are many many ways to have a full LAMP stack on a Windows machine and use it for PHP development like WAMP, for example. This is ok if you are developing just for fun, but in corporate level an on-boarding environment is much preferred. Having a pre-defined server image with all that is necessary to almost replicate your production server on a developer machine helps on preventing errors and, most importantly, quickly have new developers up-to-speed with the corporation development environment. Creating this under windows can be such a hassle and in cases like this bundled solutions does not work. To create a full LAMP stack on your windows machine and have it 100% stand-alone I have used Vagrant. On the prior version of Vagrant (V1) you had to use Putty in order to ssh to the VM and that was a painful process, with the newer version (V2) you can use built in Vagrant SSH as long you install an SSH support library like the one from GIT. There is a trick on the GIT installation, you must choose the option with the Linux / Unix commands (it has a red warning message about overwriting windows libs). Prior installing Vagrant you will need to install Virtual Box. It is a Oracle virtual box machine. Very useful if you are on OSX or Linux and need to run tests on Windows IE9 (sig). This part of the process is very well explained on the Vagrant documentation. Now comes to Vagrant install. It is fairly easy. Install Vagrant, then open command line and run “vagrant init”. It will create a default vagrant file with most of the basic things defined. Here comes a trick. The default vagrant file tries to download the precise VM. I have tried to contact Vagrant a couple times on Twitter and with no luck. There is an issue with the download of this box, the server resets the connection prior the download to be finished. There is a way out of this: VagrantBox.es – Select the box that you best consider that matches your environment, add it on vagrant (vagrant box add) and finally update the vagrant file to use the new added box. After this, everything is as simple as setting up the environment. Unless you have an specific need to add the GIT repository files under another folder you can set it all under the vagrant folder (same folder where the vagrant file is located). I know that most of PHP developers use either Linux or OSX for development. It is much easier to setup and use, but if you are stuck with Windows, you might as well benefit of this. This entry was posted on Tuesday, May 7th, 2013 at 9:01 PM	and tagged with apache, developer machine, git, github, lamp, linux, mysql, on-boarding, PHP, phyton, putty, ruby, server image, software, ssh, ssh support, technology, vagrant, virtual box, vm and posted in PHP. You can follow any responses to this entry through the RSS 2.0 feed.